Dr. Catherine Brown is the LakePulse Manager. She is also responsible for our communications/outreach activities and developing policy engagement opportunities. Dr. Brown has been involved in the LakePulse initiative since the pre-proposal stage and served as an editor for the full proposal. Prior to her position with LakePulse, she worked as a research professional with the Centre for Remote Sensing Applications and Research and as an instructor for graduate courses in science communication and grant writing at the Université de Sherbrooke. Since 2005, she has worked to develop web-based communications for various institutions and research groups, in France and Canada, as well as writing, editing and translating scientific documents. In addition to her PhD in oceanography, Catherine has a bachelor of education degree in science. She has a keen interest in science literacy, public engagement and science policy issues. 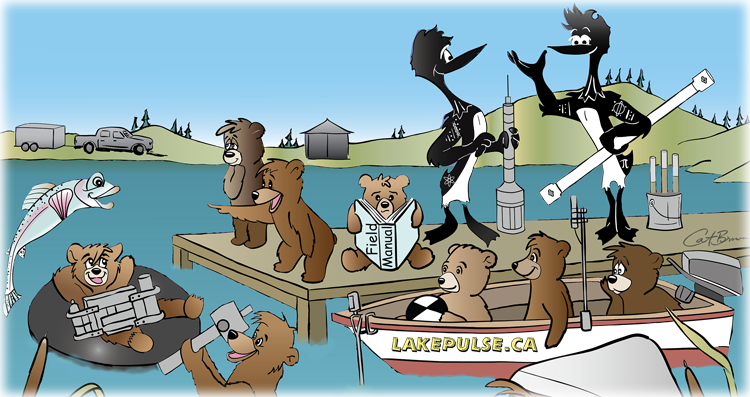 In her spare time, Catherine enjoys illustration and some of her cartoon characters visit the LakePulse world.